♥ is a metaphor that has been used for thousands of years to symbolize the “centre of emotion, including affection and love”. Our hearts open and close all the time. While we are often aware of whether another person’s heart is open or closed, it is difficult to know about our own heart. 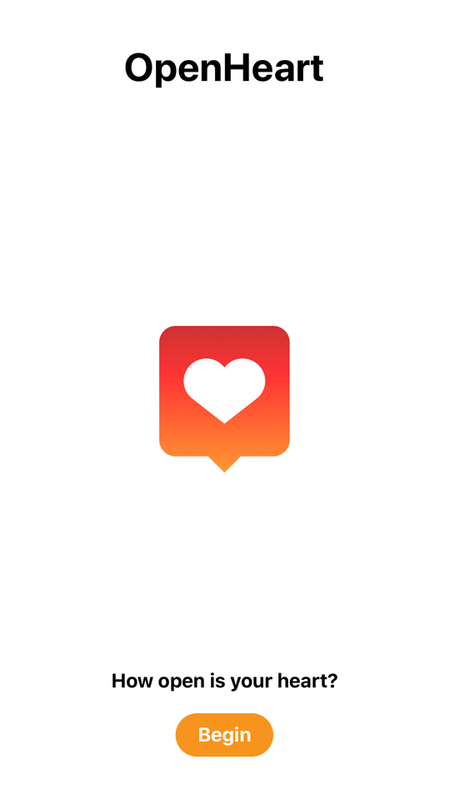 This app uses a brief survey and a simple algorithm to assess how open your heart is at any moment in time – indicated as a percent. Eg. 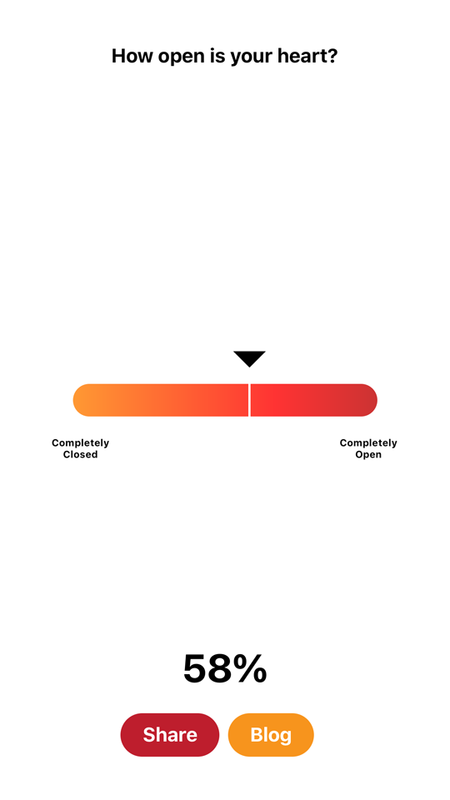 Your heart is open 25% at this moment in time. 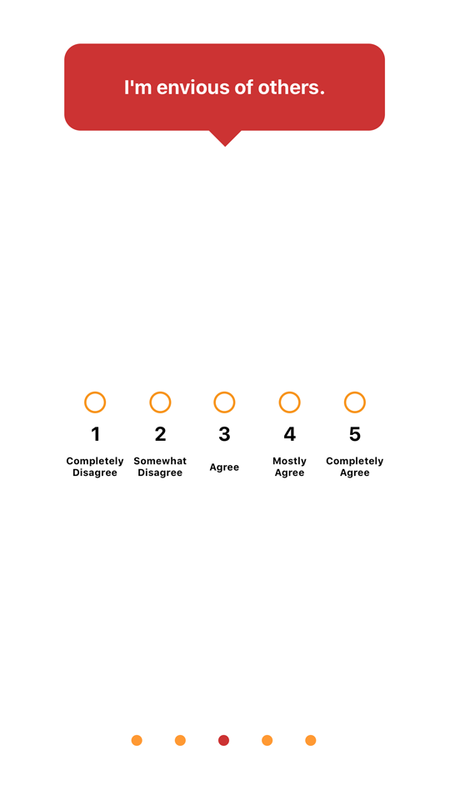 The survey draws 5 statements from a pool of 30, so that you are given a slightly different survey each time you take it. Each statement has been shown to be correlated positively or negatively with the statement “My heart is open at this moment in time”. Knowing how open, or closed, our hearts are, can be useful for understanding our own moods, thinking critically, and relating to others. For instance, if my heart is closed, I might make more negative judgments about myself, others, ideas and concepts. Knowing that my heart is closed at this moment might lead me to keep my opinions to myself or at least preface my remarks by stating that my heart is closed or that I am in a negative mood. On the other hand, if my heart is open, I might be more generous in my assessments of self, others and ideas. Knowing this, I might preface my remarks by indicating that my heart is open and that this might influence my thoughts to be more positive than is warranted. 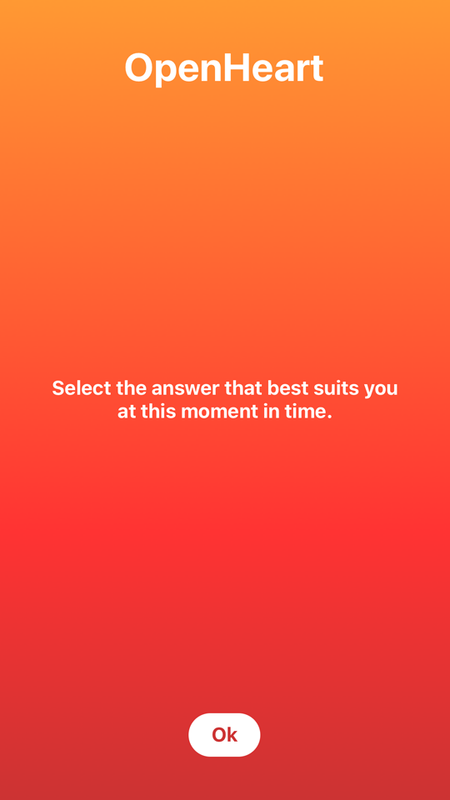 Your answers to each statement and also your survey results are not saved by the app, nor loaded up to the cloud. Rather, once you close the app, or repeat the survey, the results are gone. You do, however, have the option of sharing your survey results, should you choose to do this. © 2019 OpenHeart. All Rights Reserved.